◀ Changing the workplace for the better through Wellness days. 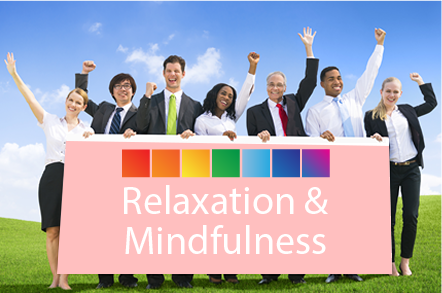 Relaxation and Mindfulness (RMS) provides Personalised Care therapies. Relaxation and Mindfulness are working in-line with the NHS, Private Sector Health care providers and the Education Sector. Having a wealth of experience in Education, alternative/holistic health therapies, empathising with learners/clients and their home/school life balance. RMS also offers Wellbeing Corporate Days, providing a holistic approach which enhances the Work Life Balance within the workplace. Relaxation and Mindfulness have worked in many parts of the country working with companies across the United Kingdom. We are out there to help to improve people’s lives. Wherever you are in the UK, we can deliver trained and insured therapists. Relaxation and Mindfulness believes that the treatments will benefit staff by improving the "feel good factor" by helping to reduce sickness, relax the mind and body and have a calming effect in the work place. Work colleagues will experience improvements in self-esteem and motivation resulting in a better, more efficient and effective working environment and reduce absenteeism. 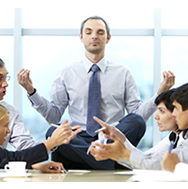 Relaxation and Mindfulness provides many treatments in the work place. These range from special Corporate Wellness Days (Whole day Event) and incorporate Health and Wellbeing or a 1-2-1 personalised care. Like to know more about Corporate Wellness Days? Would you like to know more about 1-2-1 Personalised Care?